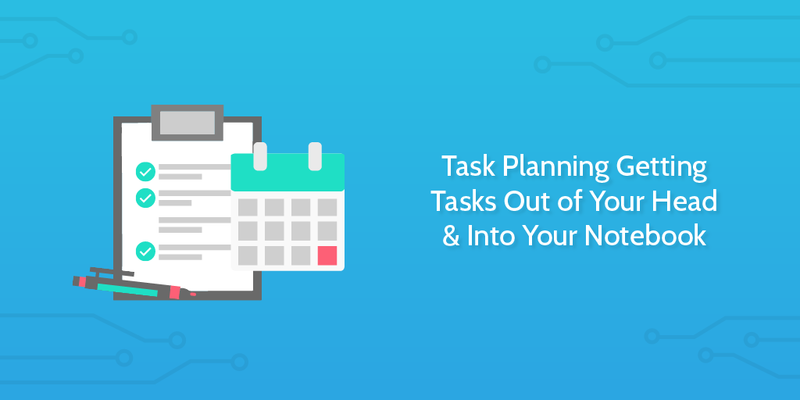 Are you ever at a loss when it comes to planning your tasks? A good chunk of the time, I feel exactly like that. That’s ok. 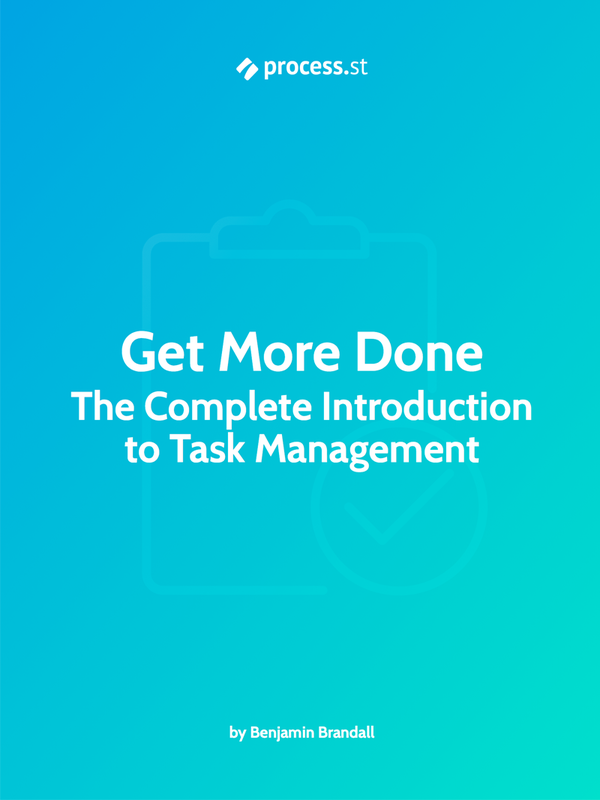 Task management exists because planning and executing projects is hard. Last night, I sat down with my wife and we wrote down everything we’ll need to do when we move house. It was two A4 sheets of paper before we even started breaking it down into subtasks. Two A4 sheets of paper. The amount of items a human can hold in working memory is around 7, so when it comes to projects, of course you’re lost if you’re not planning them properly. Don’t worry. There’s a simple way to do it, and once you’ve got that down, you’ve learnt it forever. And the start of it, just like I sat down to do last night, is writing everything down. Here’s how to brain dump your tasks and make sense of them. If you’re about to start making an effort to improve your task management, it’s because you have some idea of what you need to do already. The problem is that your valuable thoughts will be knocking around in your head along with useless pieces of information (like song lyrics, passing observations and ‘did I forget my keys?’). Spend as much time as you need to write down everything you need to get done. Whether that’s something like ‘write project proposal’ or ‘buy a new toaster’. Don’t limit yourself on what you could write because this isn’t your final task list by a long-shot; you want to keep it open-ended. 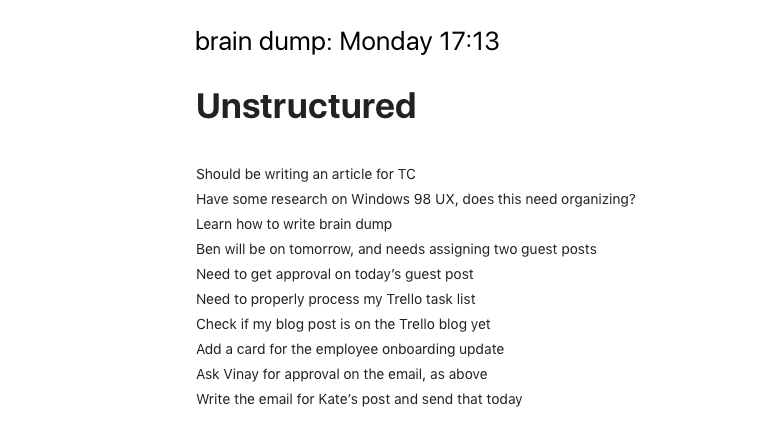 After writing that, were pushed out of my head by useless information, then I’d probably need to spend time looking back through Trello and Evernote to find exactly what I meant by some of those items. That’s why, straight afterwards, I look back through and write up a less nonsensical version. Once you’ve got your messy list like the one above, it’s time to go through and tidy it up. When you spot something that fits the bill, add enough clarifying information so you can start adding the tasks to your to-do list and preparing to get them done. As you’ll notice, I added links so I could easily get around to where I need to go to learn more about the task. These links lead to Evernote notes, Trello boards/cards and research articles. I also started my tasks with a verb to make sure they’re actionable, and removed any rambling details. To help with breaking down a task, look at it and ask “what do I need to get that done?”. Keep going until the task is broken down to its simplest elements. Maybe starting a task is dependent on the completion of another, or you need to buy a brush before you can sweep the garage. If you can’t run the task from start to finish in one go, its needs to be broken down. For planning your tasks, you’re going to want to use any text editor or note-taking app you’re comfortable with. Personally, I use Alternote linked to my Evernote. Here are a few tools I’ve tested out and would recommend for quickly taking notes in the preliminary stages of task management. Evernote is the old classic. You’ve probably used it, but I thought I’d take the opportunity to point out how it can be useful for managing your tasks. But these cons aren’t too bad. In fact, they can be solved with Alternote. 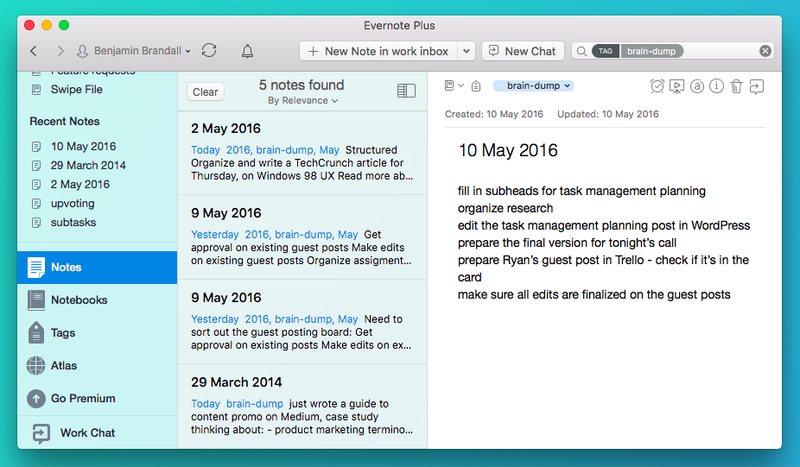 Alternote isn’t an entirely new note-taking app, but actually an addition to Evernote. You can sync in as many or as few notebooks as you like, which means you can declutter Evernote instantly and keep your mess over somewhere else. OneNote — Microsoft’s answer to Evernote — is one of the best apps I’ve found for making a digital scrapbook. Like paper, you can drag any text box or image onto the page and place it anywhere you like. You’re not locked to a grid like Evernote, which makes it great for making notes next to each other, next to images, etc. You can create a section for your daily tasks, and add a new page for day. Using OneNote that way, it won’t get cluttered at all. 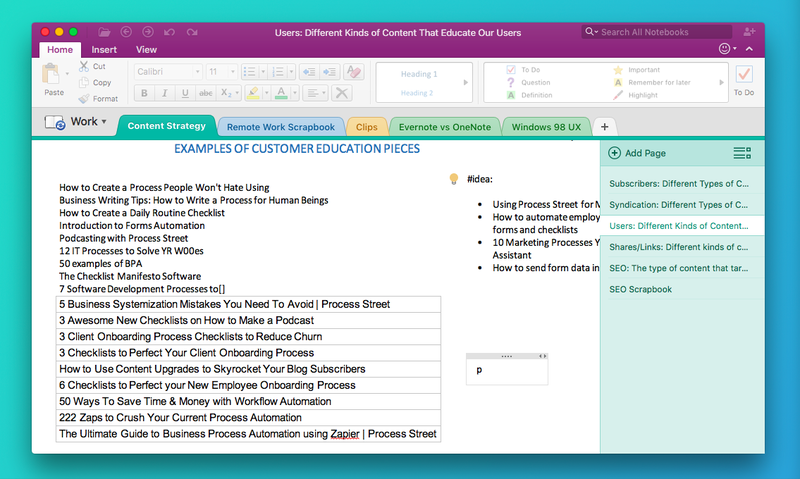 For a full comparison of Evernote vs OneNote, click here. 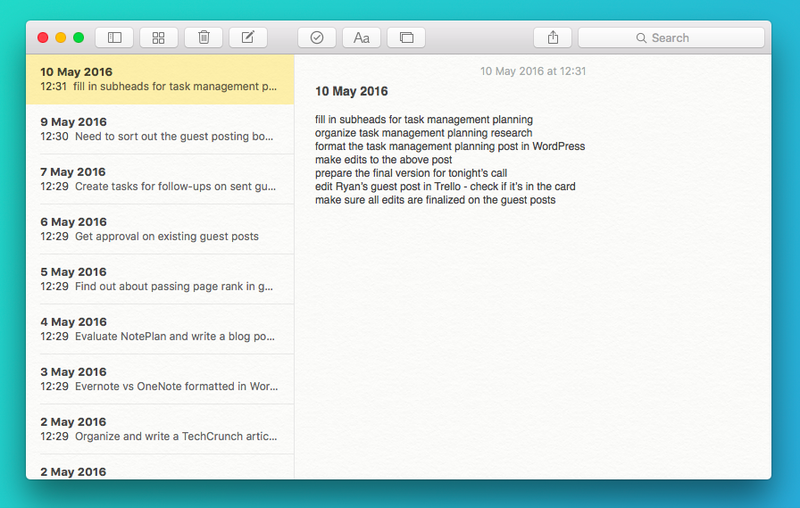 If you’ve got an Apple device, you’ll get Apple Notes free with it. If not, there’s no way of getting it so I’d suggest using Evernote or OneNote. Either way, it’s not like Apple Notes is the best note-taking app. In fact, it’s very basic. It’s divided up into notebooks and notes. For some people, that’s the exact right amount of complexity. 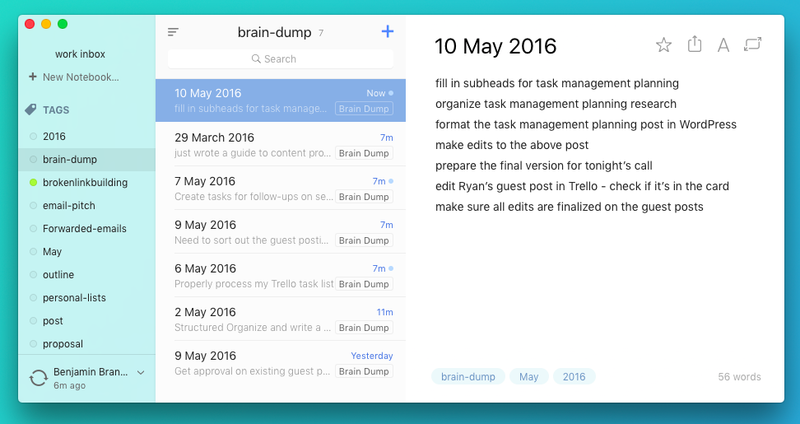 For task management, you’re going to want tags for projects, brain dump and resources. You’re going to want to filter notes by more than just notebooks. NotePlan is brand new. It’s in beta right now, but looks like it will shape up to be the perfect app for brain dumps. I’ve only used it for a few days, but love the markdown syntax and how notes are always mapped to calendar dates. The app is in beta. There are some little quirks to work out still. WorkFlowy doesn’t integrate with anything, making it a bit awkward to add tasks from anywhere other than the app. Not an app. Good old pen and paper! When I need to accompany my notes with a sketch, I like to use my notebook. 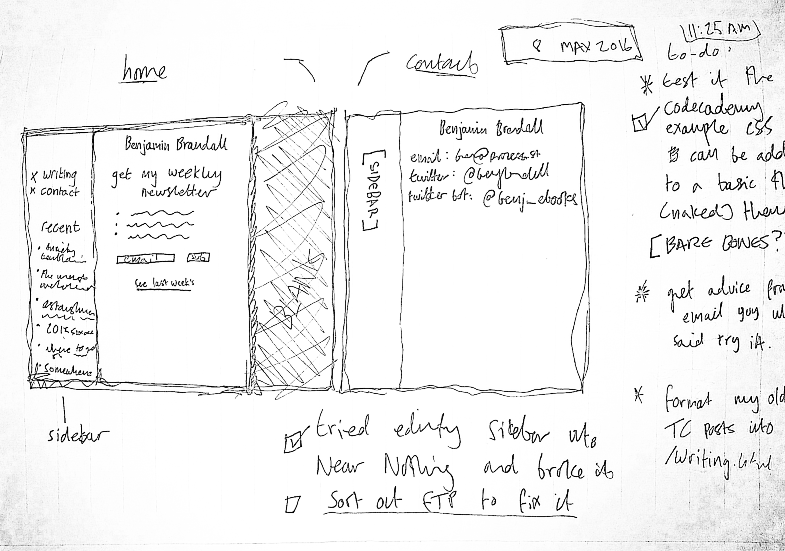 For example, on Sunday morning I drew out the basic format for a website I want to make, and then wrote the to-do list next to it. The good thing about writing with pen and paper is that both Evernote and OneNote support search inside the handwriting! See here for Evernote’s announcement (a premium feature) and here for a demonstration of OneNote searching a scanned document. 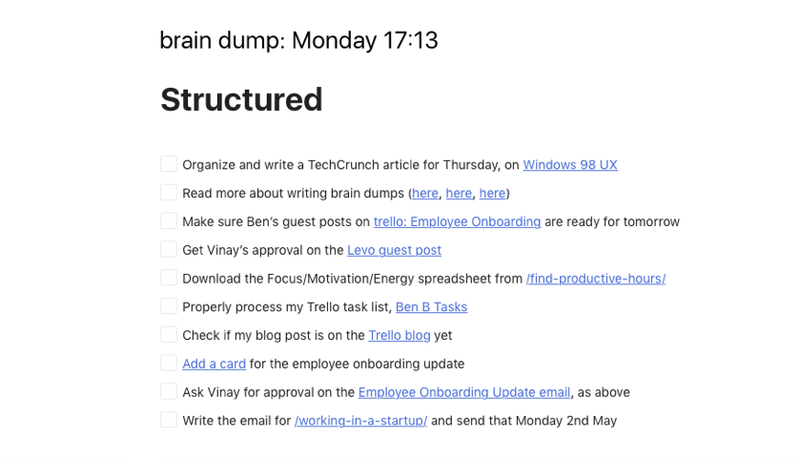 This should be everything you need to get tasks out of your head and into neatly categorized subtasks. That way, you’ll know exactly what you need to do. Over the course of the next 4 weeks, I’m going to be putting together the ultimate guide to task management, right here on the Process Street blog. Want to be a part of it? Scroll down and subscribe in the box below or by clicking here. Next week, I’m going to look at getting your tasks named properly and into a to-do list. Got any more tips? Leave them in the comments. I’m always learning. That’s a great article. I found your blog from ahrefs. I love your work.